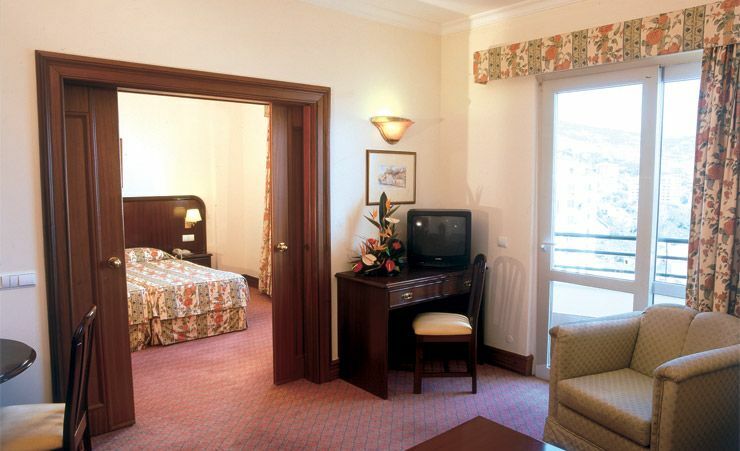 As its name suggests, the Jardins d'Ajuda Suite Hotel occupies a delightful setting in beautifully maintained gardens. The smart exterior (in a subtle shade of yellow) is a clear sign of what to expect inside – it's a well maintained, stylish facility, and one you'll quickly fall for. 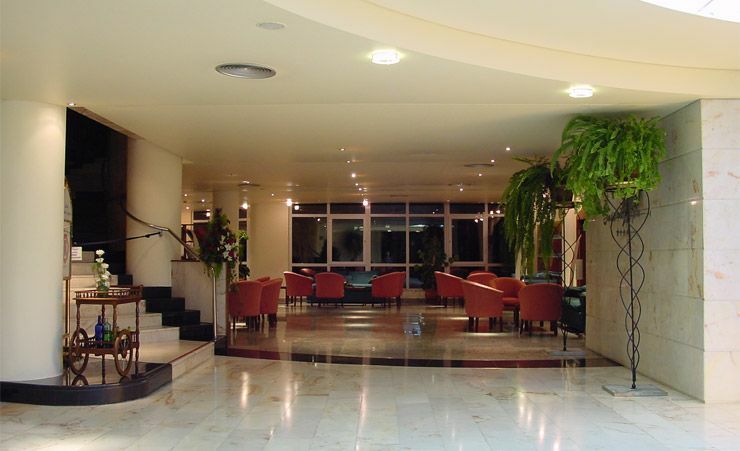 The Jardins d'Ajuda Suite Hotel is conveniently situated too. The heart of Funchal is just a couple of miles away – there you'll be able to explore the sights, shop, or swim at the Lido – there's just so much to see in Funchal. You'll be spoilt for choice. The stylish pillars that adorn the reception, restaurant and grand indoor pool convey the message perfectly – this is a fine, four-star hotel. No wonder it's such a popular choice for this part of Madeira; Funchal is a stylish destination and one of the island's best tourist spots. There is a real emphasis on your contentment at the Jardins d'Ajuda Suite Hotel, from the beautiful gardens to the stylishly comfortable hotel rooms you'll know you've chosen the right place to relax. With accommodation comprising suites (with kitchenettes) and twin rooms, you can choose the best option for you. Rooms are all air conditioned and comfortable. 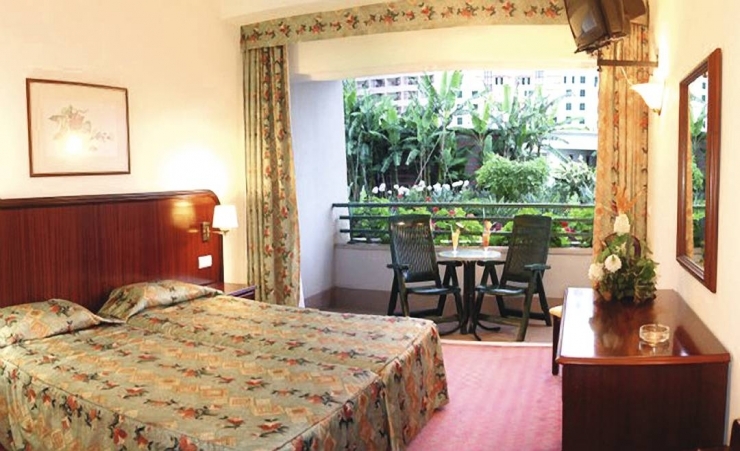 Whether you favour a studio or a twin room, you'll enjoy the ample space as well as a balcony. 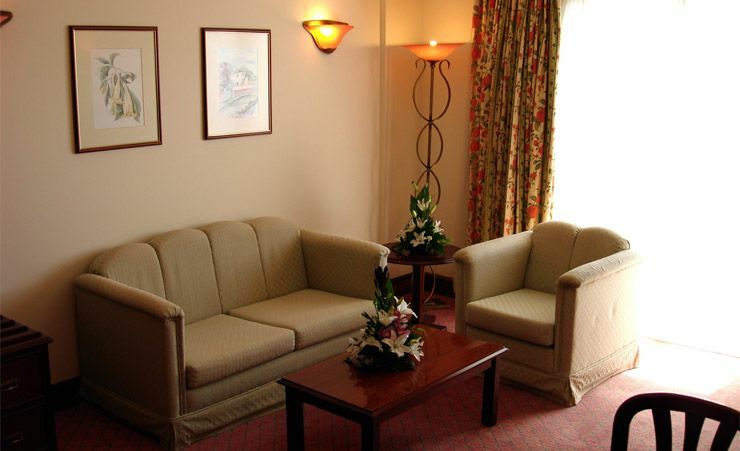 Amenities include TV, telephone and Wi-Fi; room safes are also available to hire. 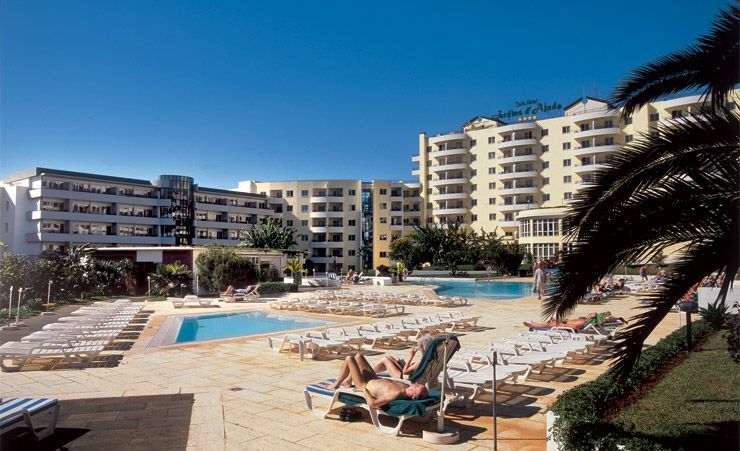 The Jardins d'Ajuda Suite Hotel also boasts a large outdoor swimming pool, with a sun terrace – you can pick up quite a tan in Madeira. 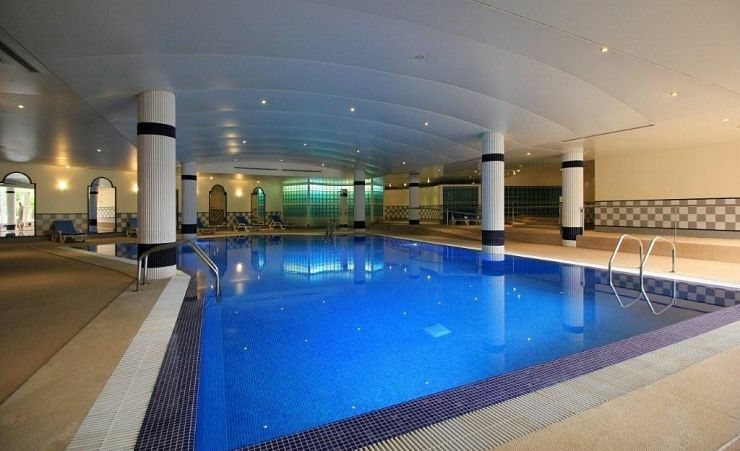 You can also enjoy all the amenities of the health club with its gym, Jacuzzi, sauna and steam bath. 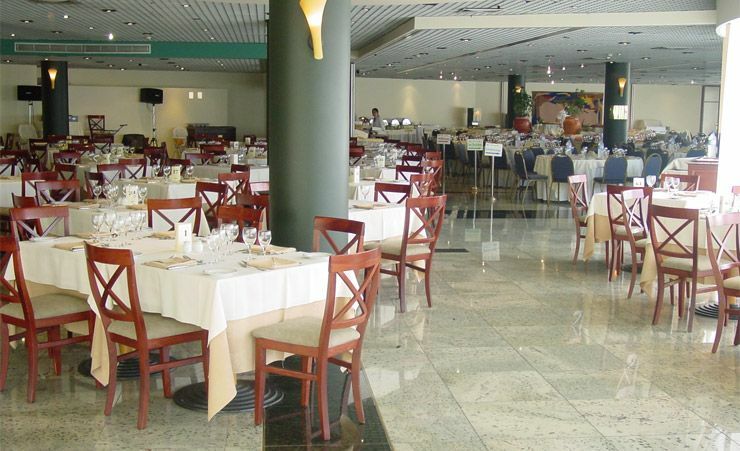 There are lots more nice add-ons to the service you get at the Jardins d'Ajuda Suite Hotel. You can take advantage of the courtesy daytime bus service – it'll take you straight to the Funchal shopping centre. You can log in to your emails and surf the web, courtesy of a free WiFi hotspot in the hotel reception. And don't forget to check out the hotel's very own entertainment programme too. Staying in such perfect surroundings is great for the holiday spirit. You're never far from something to do or somewhere new to explore, and at the end of the day, you've got a wonderful hotel to return to. 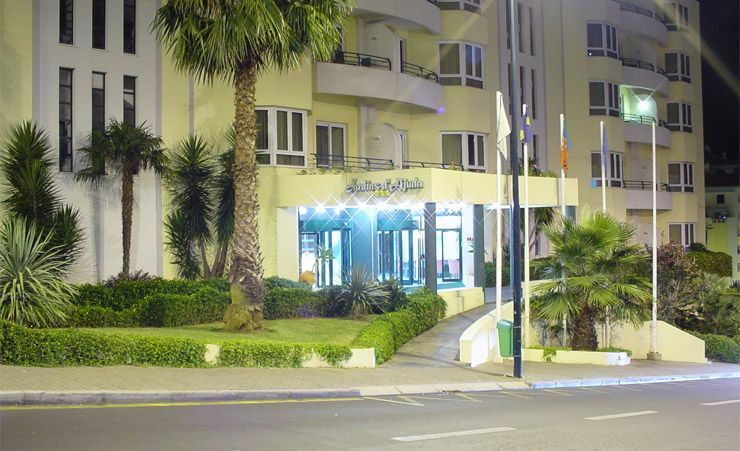 Find out more about your accommodation and the in room facilities at the Jardins d'Ajuda Suite Hotel . The Inland View rooms come with a TV, hairdryer, individual safe, direct-dial telephone, double-glazing, air conditioning, balcony, and splendid views of the mountains. 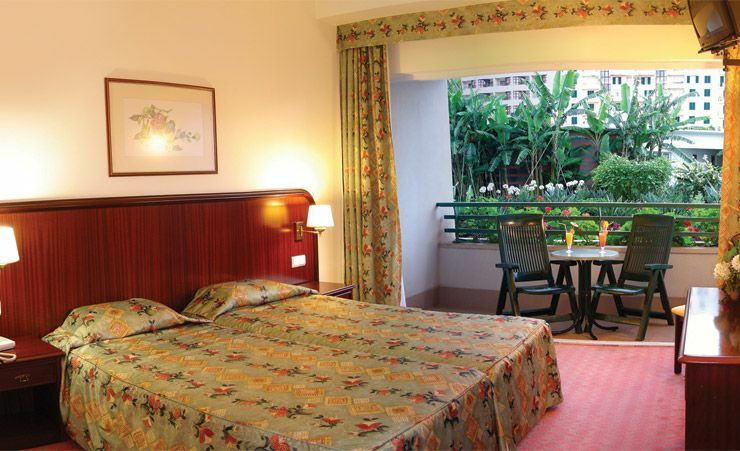 The Garden View rooms come with a TV, hairdryer, individual safe, direct-dial telephone, double-glazing, air conditioning, balcony, and splendid views of the beautiful gardens. Even better than last year i will be booking again. Excellent staff knew all about Celiac disease and had plenty of Glutten free food choice on offer even coissants. Very good with excellent friendly staff. 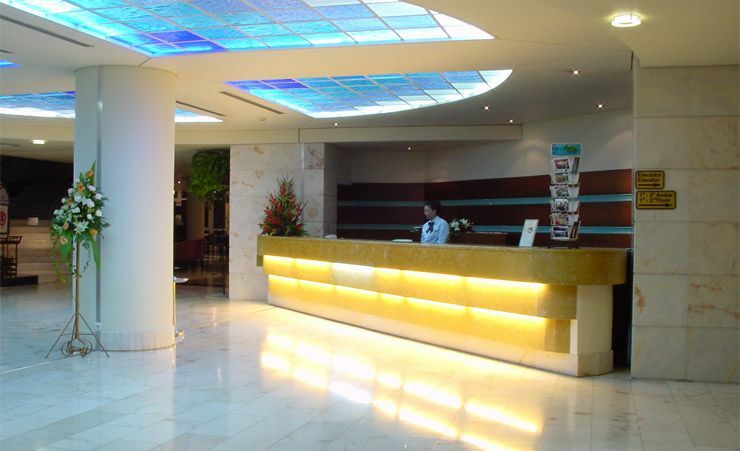 I was very impressed with the standard of service at the hotel, the staff in all the areas were friendly, professional, helpful and efficient. I was also very pleased with my garden view room (which turned out to be a mini suite) which had a stunning view from the balcony -garden ,pool, mountains and sea!. 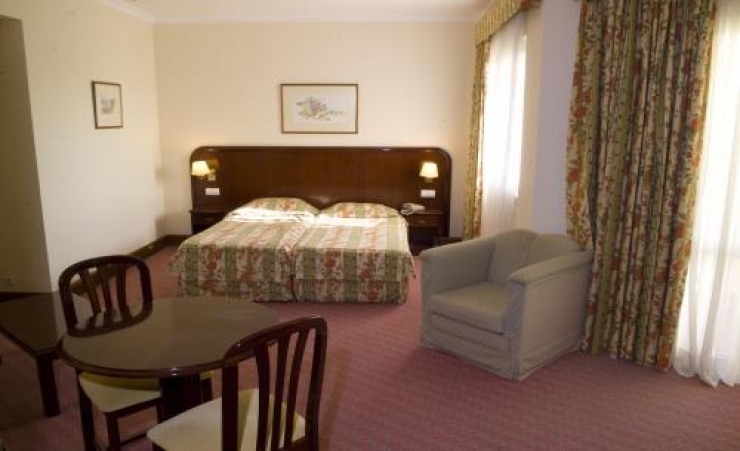 the room itself was basic and a little bit in need of upgrading but was spotlessly clean and had comfortable beds. Our maid was very good and efficient. The other comment I have is with the state of the carpets in the corridors which were stained and it looked as if there had been a flood at some time. 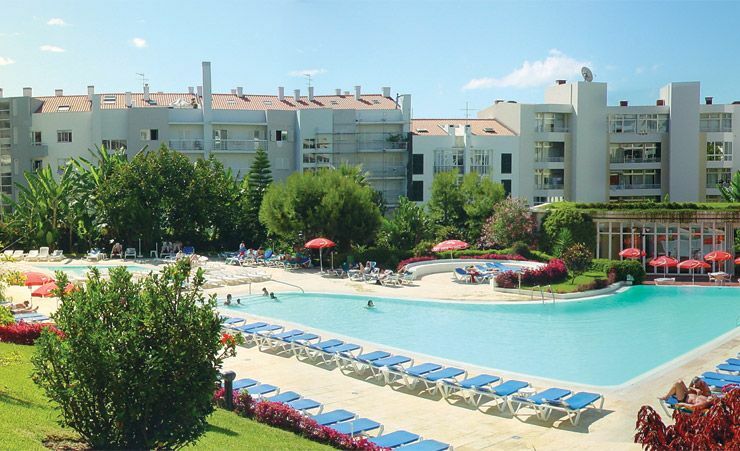 Good size room with adequate balcony overlooking the gardens. Carpets faded and in need of replacement (some rooms are being fitted with laminate flooring so maybe that's the plan for all rooms). Had to request extra shower gel as this wasn't replenished regularly. Gave up on using the electric hob as the kettle took 15 minutes to boil. Fabulous pool with plenty of sun loungers. Parasols are charged at !.50 euros. Towels for the sunbeds are free. Good choice of food at buffet breakfast. Warm and friendly service throughout the hotel. Food: breakfast the same everyday! could have done with some variety. Dinner also the same. Could do with more options. As for the hotel staff, I cannot faulter. Friendly and very helpful. Friendly, welcoming staff. All the facilities we need. Have stayed before and will stay again.